Carnival! Fiesta! Masks! Music! Fire! Is there a people of any nation that does not celebrate this way? 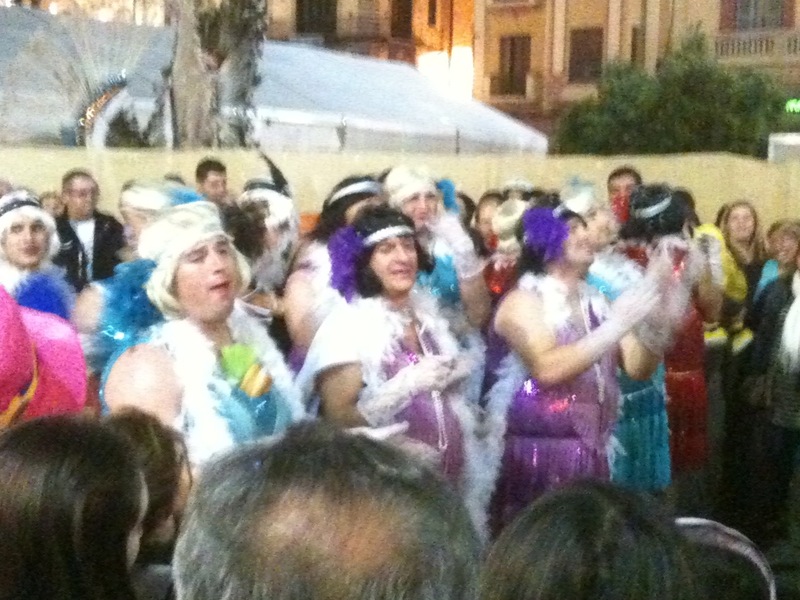 Málaga carnival – fancy dress, street music, processions, singing, dancing. Notting Hill Carnival – the menu of activities is the same. From 1937 to 1977 Malagueños had put their costumes away during Franco’s prohibition on such gatherings, and the revival at the end of the 1970s celebrated the the new freedoms of a nation emerging into democracy. An element of political satire is present to criticise and poke fun at the nation’s or town’s rulers (just as the caganer, or defecating shepherd, carefully placed in each Nativity scene in Catalunya, often has the face of a currently unpopular politician). There’s a parallel In the Caribbean carnivals, which originally arose in the early 19th century to celebrate the abolition of slavery and the freedom to celebrate their own culture. The white masks and the costumes which survive to this day were a parody of their former European masters. Competition plays an important role alongside the pure pleasure of partying. 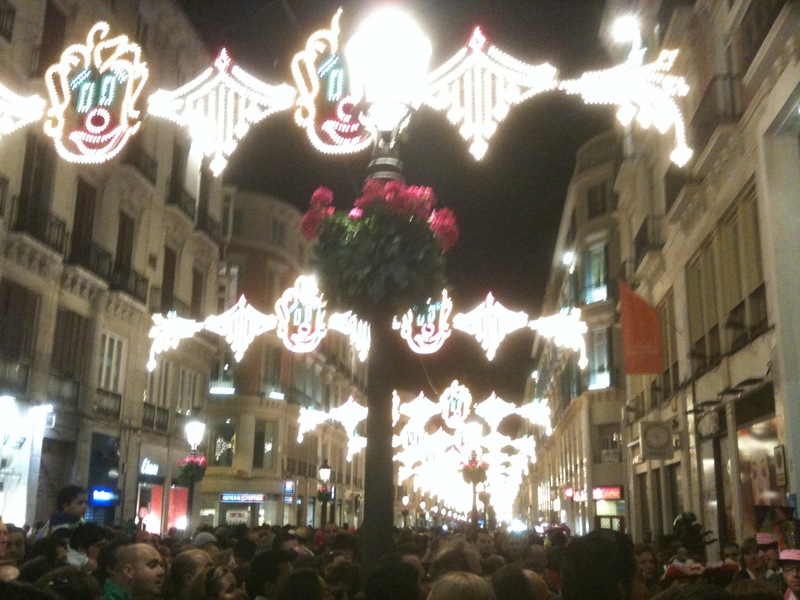 Across Spain the murgas (street bands) and comparsas (procession groups) compete for prizes. In Málaga the prestigious final in the Cervantes Theatre is a sought-after ticket. In England’s West Country, carnival clubs begin their preparations a full year ahead, building huge floats with thousands of lightbulbs, the young people rehearsing their routines weekly building up to the great carnival circuits in September, where the prizes are eagerly fought for. This weekend in Shaftesbury the carnival came to town. The larger clubs are part of the Wessex Circuit, so travel around the region parading through each town on consecutive Saturday nights. 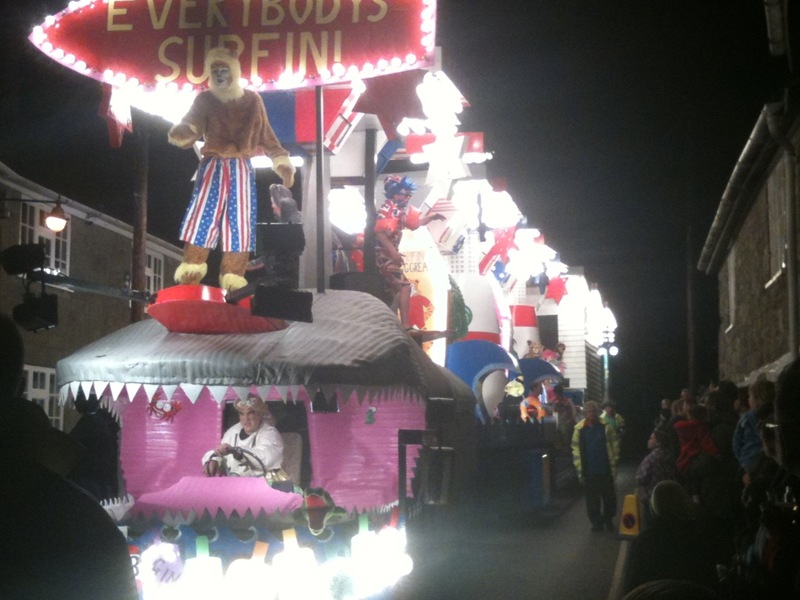 In between the huge floats towed by massive tractors and towing generators for the 20,000 lightbulbs and blaring music, are youth bands, twirlers’ groups, costumed masqueraders and individual fancy dress entrants. A century and a half ago carnival would have been lit by bonfires and hand-held flaming torches. Perhaps with growing awareness of environmental damage, this may be the future of carnival too? 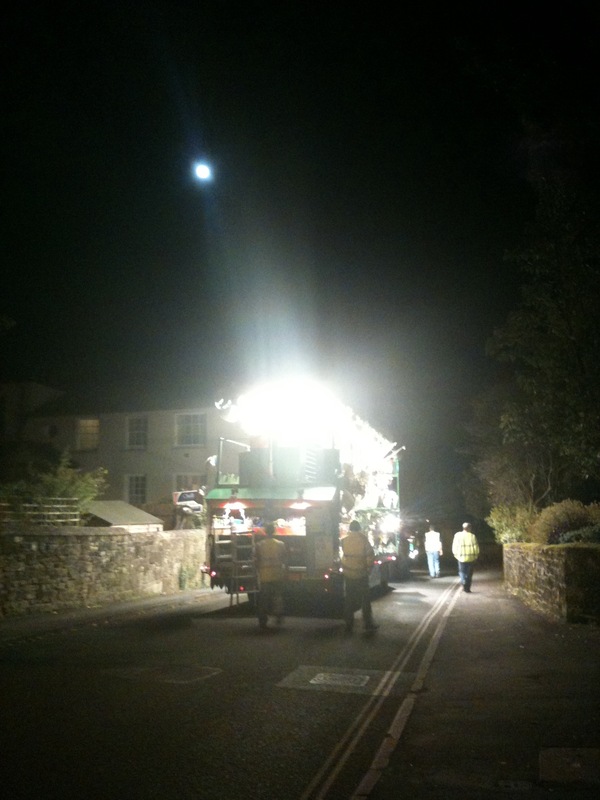 This final picture is the end of the carnival disappearing past my house under a full moon – the moon almost drowned out by the lightbulbs on the float. 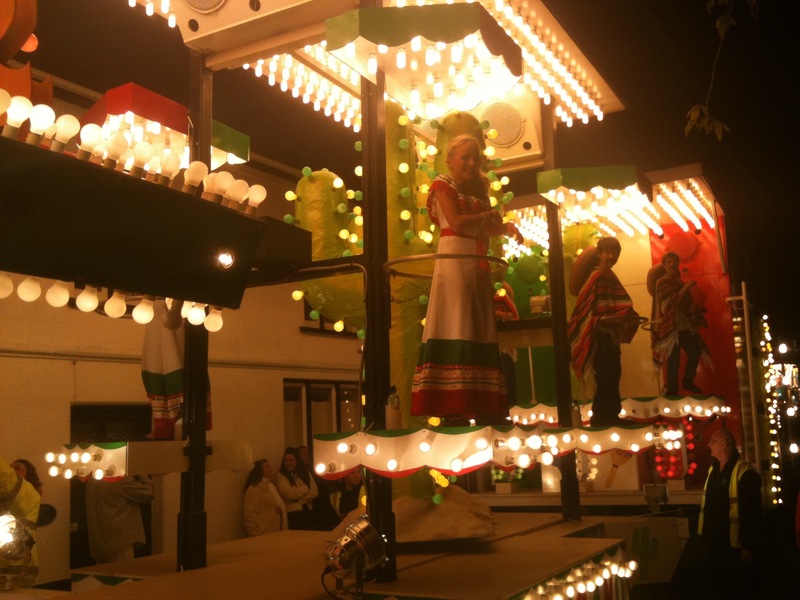 This entry was posted in Dorset, Spain and tagged Andalucia, Carnival, Dorset, Málaga, Shaftesbury, Spain, SpanishBlog, Tamara Essex by tamaraessex. Bookmark the permalink.